Award-winning, revolutionary drug testing from fingerprints. Quick & Easy – sample collection in seconds, results in minutes. Hygienic & Portable – Fuss-free drug screening anytime, almost anywhere. Versatile & Dignified – Ideal for pre-employment screening, random and for-cause drug testing. End-to-end Solution – Fingerprint-based laboratory confirmation service available. 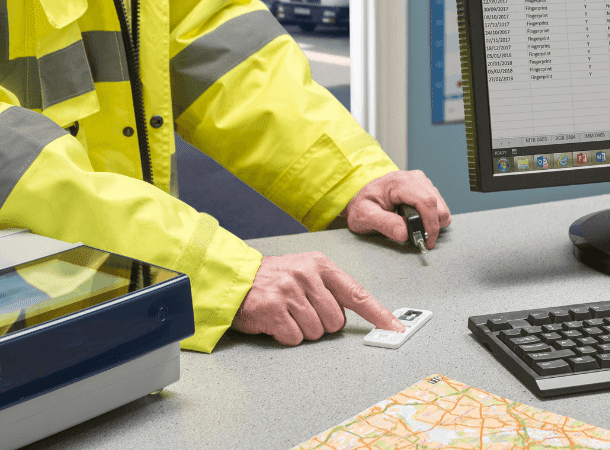 The Intelligent Fingerprinting Drug Screening System has been designed to simplify and support drug screening programmes across a range of applications. An effective drug screening programme is a critical part of any workplace drug policy but conventional drug tests involving biohazardous body fluids such as urine or oral fluid samples can be difficult, and costly, to implement. 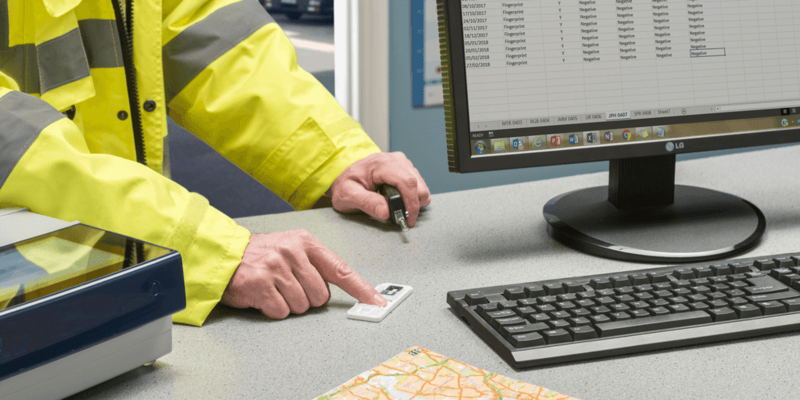 Our Drug Screening System solves these problems with its portable, non-invasive fingerprint-based technology, offering a convenient choice for workplace testing. Maintaining an open relationship between client and clinician is critical to the success of any drug rehabilitation programme. 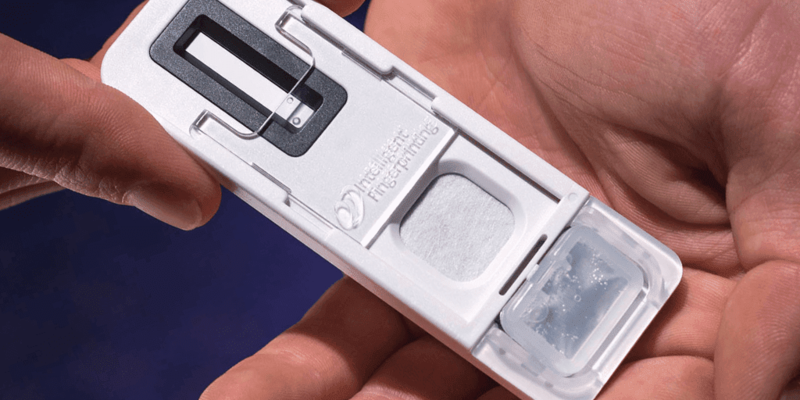 Fingerprint-based drug testing offers a convenient, hygienic and dignified screening solution which can be easily implemented in different settings, whether clinical or community-based. Drug testing within prisons is essential to support a wide range of activities including mandatory drug screening, assessment of prisoners on arrival and voluntary testing schemes. Thanks to its portability and non-invasive approach, our Drug Screening System provides a hygienic and convenient point of care drug test that can be easily implemented to support random or unannounced testing. Our non-invasive Drug Screening System provides a fast, convenient way for coroners to screen for recent drug use as soon as a body arrives at the mortuary. The new approach could save time and resources by providing early intelligence on cause of death, helping to prioritise when a full post mortem is needed and potentially enabling earlier release of the deceased to families.